Click View Homes, enter the area of the property you are searching for, enter a mile range and press Search. If you just press Search without selecting a property type or area, all available properties will be displayed. If you are eligible and would like to bid on this property, select the 'Read more' link. You will then be able to see full details of the property. 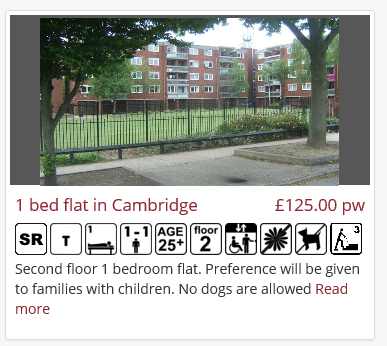 Click on the 'PLACE BID' green button on the right hand side of the page.